After the oppression of slavery and the frustration of sharecropping, settling on new homesteads seemed like one the most promising options for African-Americans in the late nineteenth century. Settlements like Nicodemus in Kansas became flourishing hubs of black life in the West. The allure of such homesteads was what brought settlers to the area known as “The Dry.” However, the promise of land did not make for an easy existence. 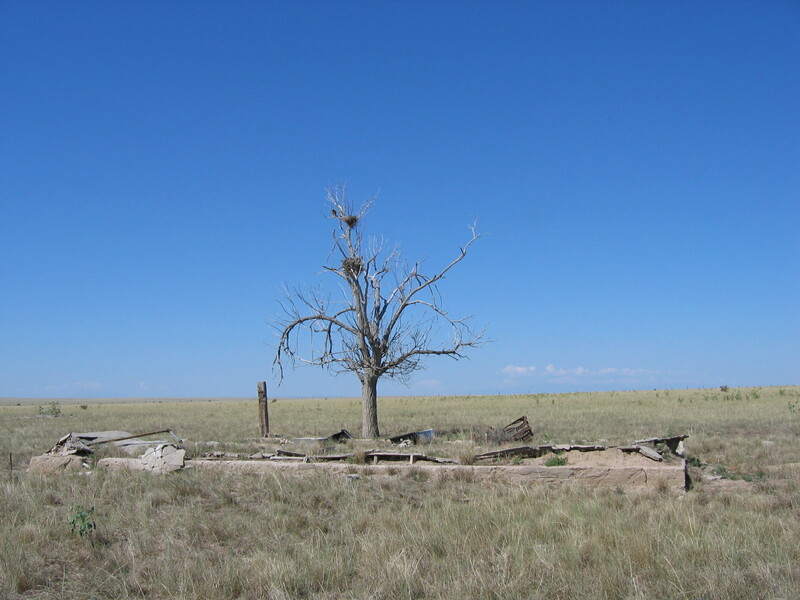 Arriving at the Dry as a young girl, Rolan Craig recalled “there were no trees, I felt like crying.” With extensive irrigation, the settlement survived from around 1916 until the 1930’s. The collapse of dams prompted more and more farmers to move out the area, and the arrival of the Dust Bowl effectively demolished the prospect of agriculture at the Dry. of these settlers and engage the community in heritage building. What a fascinating site! Looking forward to reading more updates from the field!